Announcement Free shipping with code FREESHIPPING40 at checkout on all orders over $40. If you prefer to talk to us in person please call 843-619-7799. Free shipping with code FREESHIPPING40 at checkout on all orders over $40. LOVE this company. My skin feels super smooth--NOT GREASY--after using these butters, and smells fresh and fabulous. Safer ingredients is a major plus. Telling everyone! Love LOVE these lotions! Honestly, they are sooo moisturizing and smell absolutely wonderful, I think they are the holy grail of lotions! Trust me, I have tried many! Fast shipping, and a lovely surprise gift too! Thank you! Happy Customer here, I will be back for more! Old Whaling Co shop inside the Charleston City Market Great Hall in historic downtown Charleston. Our manufacturing space in the West Ashley neighborhood of Charleston, SC. Our first true brick-and-mortar location in the West Ashley neighborhood of Charleston, SC. All online orders and wholesale orders are packed in our West Ashley storefront location. We keep the post office busy! When my infant son developed what I thought was diaper rash, our family physician diagnosed him with eczema. He prescribed steroids and I said no way. I went home to do research on how I could improve his condition naturally. After a local pharmacist suggested goat milk soap, I gave it a shot and learned to make it. After stopping use of ALL commercial products it went away, and our entire family seemed to have healthier skin. I found I really enjoyed soap-making and the entire creative process that went along with it. In Spring 2012 I relocated with my children to sunny South Carolina. 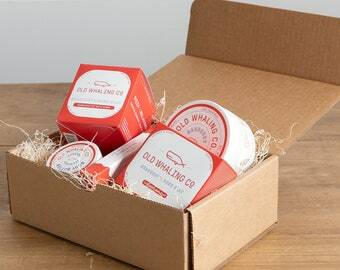 Our little soap company is thriving and can now be found in retailers throughout the area. We can now be found daily in the world famous Charleston City Market and our brand new brick and mortar location in West Ashley. Owner + creator of OWC. Beyond blessed to run this business every day (literally... every day!) + work side by side with the best team! Grateful for every customer who takes a chance on our products and continues to support our company. Kelly keeps the organization running smooth managing the daily operations of our warehouse, retail stores and wholesale divisions . In addition she works side by side with me to keep the business moving forward. I am beyond blessed to work with her. Celia joins us from Philadelphia, PA. She manages warehouse operations + warehouse crew from ordering + receiving to inventory and product making + scheduling. Shes an incredibly leader and inspires her team to do their best. Catie is a native Charlestonian. She has the most infectious smile + laughter. You can find her in our stores conversing with customers and tourists. She is our go-to for training new retail employees. Theres no detail she doesnt take note of! Cam joins us from Virginia! She handles anything we throw at her like a pro. There’s no situation she can’t handle. She manages our West Ashley and online retail and does a great job leading her team and inspiring them to do their best! Emma is an amazing retail gal who works our City Market location and our new brick-and-mortar location in West Ashley. There’s a big possibility Emma has packed your order! Noelle joins us from New Orleans. She is our amazing wholesale manager! She has been amazing at making sure all of our retailers are happy and well-stocked; and has increased our wholesale reach immensely. We are grateful to have her on our team!! Jo works in our West Ashley manufacturing space and in the past year she has grown in to an incredibly skilled soap and bath bomb maker. She is dedicated to her work and loves what she does and it shows daily in her smile and work. Allison is our only part time retail gal. She's a high school student with a work ethic that's unmatched by many. If she's not in school or dancing ballet pre-professionally, she's working in the store! Alyssa is one of our newest employees. She is currently working as a maker and learning the retail side of our operations. She has a strong background in marketing, and events and loves talking to customers. We're blessed to have her on board! They build and paint our beautiful custom gift boxes. These t's are printed local to us by Grizzly Wheeler in North Charleston, South Carolina. We love to wholesale! 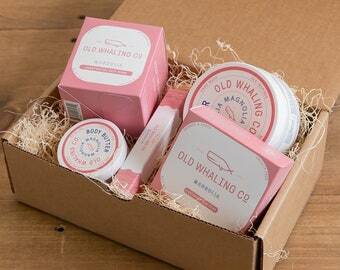 Kindly email us at wholesale@oldwhalingcompany.com or submit the wholesale form on our website. We can ship most wholesale orders within 7-14 business days excluding federal holidays. Will bath bombs stain my tub? They will not stain the tub, however you will want to wipe the tub clean after use. The oil and baking soda may leave a light ring. 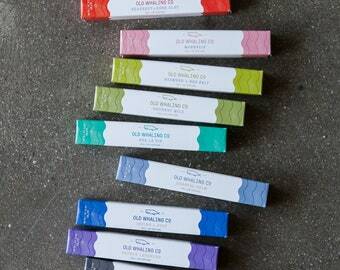 The tub will also be slick! So a good rinse is necessary. How long do bath bombs last? Bath bombs are a one time use and one whole bath bomb is used for one bath. Its best to use bath bombs within 30 days of purchase to ensure you are using a fresh product. Humidity will lessen the fizzing effects store in a cool and dry if possible.